In recent years, there has been an increasing trend in banks coming up with their own deposit-pegged mortgage rates (DPMR). 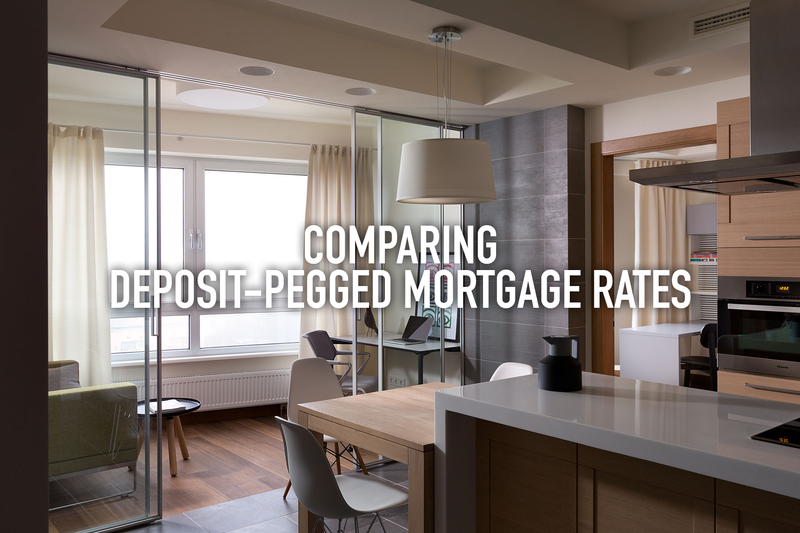 DBS was first in the DPMR playing field, introducing the 18-month Fixed-Deposit Home Rate (18M FHR) back in June 2014. About a year and a half later, at the end of 2015, OCBC presented the market with their 36-month Fixed Deposit Mortgage Rate (36 FDMR). Following which, UOB announced the 36-month Fixed Deposit Property Rate (36 FDPR) in April 2016. Earlier this month, on the 20th of May, Standard Chartered Bank introduced the 48-month Fixed Deposit Board Rate (48M FDR), becoming the first foreign bank in Singapore to do so. On the one hand, this rate package offers the lowest reference rate as compared to all DPMR packages; on the other hand, it has the longest tenor amongst its competitors. But with other benefits such as the lack of a lock-in period as well as legal subsidies, it is clear that they are trying to get ahead of fellow contenders by offering what seems to be the most attractive package in the market. With such competition, the ones who stand to gain the most are none other than customers. Be it the modifications of presently available packages or the introduction of new packages from other banks, this ongoing war of the rates will ensure that we as customers always have the upper hand, allowing us to take advantage of the rate package that will best suits our needs. As reflected in the table, lock-in periods are not applicable to both the DBS and SCB packages. However, the drawback is that DBS does not offer a legal subsidy, and while SCB does, the subsidies offered by OCBC and UOB definitely outweigh that of SCB. All in all, SCB still has the lowest all-in rate at the moment. It is clear that DPMRs came into the market as a solution to tackle rising interest rates – specifically, the Singapore Interbank Offered Rate (SIBOR). And while the rate had been increasing throughout 2015, it finally peaked in March 2016 and we are presently seeing a decline. Many reasons can be attributed to this decline, such as the market expectation of the US Feds weakening, or even the diminishing value of the USD against the SGD since it reached its highest point in January 2016. It is essential that we stay informed and keep ourselves updated with SIBOR’s current status, take note of its possible behaviour changes and understand how this affects us. If the global economy does not change for the better in the foreseeable future and this keeps at SIBOR’s continual downtrend, then the SIBOR packages are worth taking a second look. And because SIBOR is known to be unpredictable and liable to change rapidly, it is possible that SIBOR can decline as fast as its initial boost. That said, however, while it may seem that the DPMR packages are more stable as compared to SIBOR and more transparent when pitted against other board rates, they are still board rate packages after all. Ultimately, these rates are still controlled and regulated by the banks. As DPMRs gain popularity amongst customers and more banks join the field, there are still some considerations worth mentioning. Given the increase in customers taking up DPMRs, the current FD rates offered to will not be attractive to potential depositors, and pressure will be on the banks to increase these rates. This will result in increased FD rates, which is a likely scenario should there be a surge in DPMR schemes. Thus, customers should always be wary of the possible repercussions when considering taking up a DPMR package. Lastly, due to ever-changing economic conditions, always bear in mind that in spite of those of us who have come out to share our opinions, there is never a single approach or solution that is suitable for all of us. It is essential for individuals to seek out the best solutions available in the market, and opt for the solution that is in line with their needs.